and the relentless, dangerous pursuit... When man hunts man!" First sponsored by Ford Motor Cars, Pursuit is a crime detective series that broadcast from 1949 to 1951. 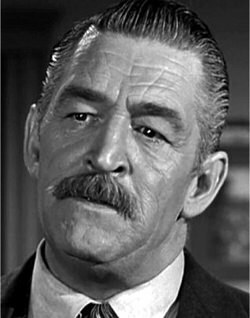 Ted De Corsica plays the original Inspector Peter Black of Scotland Yard. De Corsica was a popular large, gruff-voiced villain of various 1940s and 1950s films. With his menacing New York swagger and looming body-type, he played a handful of killers, thugs, and even a prison warden. 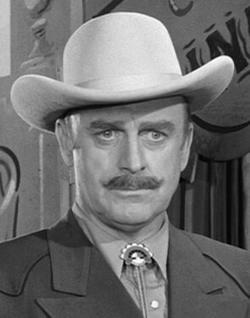 Later, Have Gun, Will Travel actors John Dehner (who was a former animator, DJ and piano player) and Ben Wright (an Englishman who played a Chinese servant on Have Gun, Will Travel) played Peter Black in this wondrous story of "violence and murder! Later sponsorship of the program included Molle Shave Cream and Dr. Lyon's Tooth Powder. See also, The Chase! and Manhunt! Be the first to comment on "Pursuit"